Three new studies show that maximum human lifespan is limited to about 115 – 120 years due to genetic constraints, the construction of our bodies and an increasingly toxic environment. These studies are hardly the first to conclude there is a maximum human lifespan. However, there may be a way to overcome this limitation. The first study was announced in August by a group of Dutch researchers who pegged the maximum human lifespan at 115 years. This was closely followed by a study by a team of French researchers led Jean-François Toussaint and Adrien Marck from the Paris Descartes University. Authors Caleb E. Finch, Ph.D. and Edward L. Schneider, MD from the University of Southern California (USC) in Los Angeles also published a report on the topic earlier this year. Toussaint, Marck, and company say that mankind has reached their limits in lifespan, height, and athletic potential. Their study – published in October 2017 in the journal Frontiers in Physiology – covered more than 120 years worth of historical information. Toussaint, Marck, and company point out the constraints of the Hayflick Limit, saying “Cells have a limited replicative potential depending on their type. “ The duo point out that progressive telomere shortening that leads to cell death and cellular senescence. In August, Dutch statistician-researchers announced they had discovered the maximum human lifespan using data mining techniques. The researchers, based at Tilburg and Rotterdam’s Erasmus universities, mined data from around 75,000 Dutch people, examining records spanning the last 30 years. The researchers pegged the maximum ceiling for female lifespan at 115.7 years, and men at 114.1 years. However, Professor Einmahl said there were still some outliers who had exceeded the maximum human lifespan, such as Jeanne Calment who died at the age of 122 years and remains the oldest verified woman to date. Finch and Schneider have appeared on LongevityFacts before, in a report covering their air pollution study. Caleb E. Finch, Ph.D., is the ARCO-Kieschnick Professor of Gerontology at USC’s Davis School of Gerontology. His coauthor Edward L. Schneider, MD is a Professor of Medicine, Professor of Gerontology, and Professor of Biological Sciences at the USC Keck School of Medicine. The USC researchers published their findings in the article “The Future of Old Age,” as part of the Brocklehurst compendium. The authors examine historical changes in our lifespan, and note that average human lifespan has more than doubled in the previous 200 years. Finch and Schneider implicate the improvements in nutrition, sanitation, and healthcare as the reasons for the increases in average human lifespan. Even with medical advances, our death rates accelerate after age 40, doubling every 7 to 8 years. 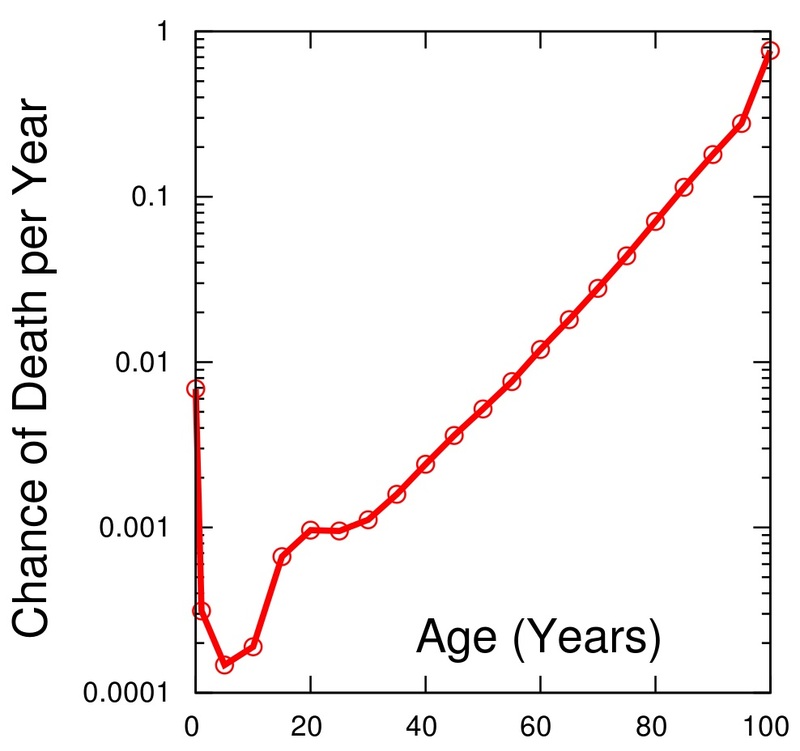 The authors attribute these increases in death rates to the Gompertz–Makeham Law of Mortality which states that the human mortality rate is the sum of an age-independent Makeham component, plus the Gompertz component which increases exponentially with age. Scottish actuary Benjamin Gompertz first described these age-related increases in death rates in 1825. As the US Gompertz chart above shows, improvements in medicine have reduced infections as a cause of early-age mortality and mortality at ages 10 to 40 years approached a minimum below 0.1% per year. Finch and Schneider even suggest that “Those born most recently may now have an even lower mortality of 0.02%/year (2/10,000). ” This historically low baseline mortality represents the Makeham component which consists of deaths from congenital defects, accidents, and rare familial diseases. The decline in the human mortality rate before the 1950s was primarily due to a decrease in the Makeham mortality component, while the age-dependent Gompertz mortality component was surprisingly stable. A new trend has started since the 1950s, in which we have enjoyed reduced mortality rates at advanced ages and a “rectangularization” of the survival curve. Because of its excellent historical database, the authors used data from Sweden where mortality rates were high in 1800. Although the rates were high due to a 10% to 30% infant mortality rate, young adults at the time had a 1% yearly mortality rate. After the age of 40, adults in Sweden and all other countries show accelerating mortality rates, which Finch and Schneider say are a “basic manifestation of aging,” and demonstrate the existence of underlying biological processes that cause aging. Unlike the French team, Finch and Schneider are optimistic that aging can be reversed or slowed. The three studies say that despite the advances in medical care, the maximum human lifespan is around 120 years. Medical science may eventually find ways to beat back the multiple diseases of aging, such as diabetes, heart disease, cancer and Alzheimer’s disease. However, the compression of morbidity concept states that these ‘cures’ will not increase the maximum human lifespan, and instead only serve to delay the onset of these diseases, pushing them into the last years of our life. Overcoming the maximum human lifespan of around 120 years will be a tall order for geroscientists. 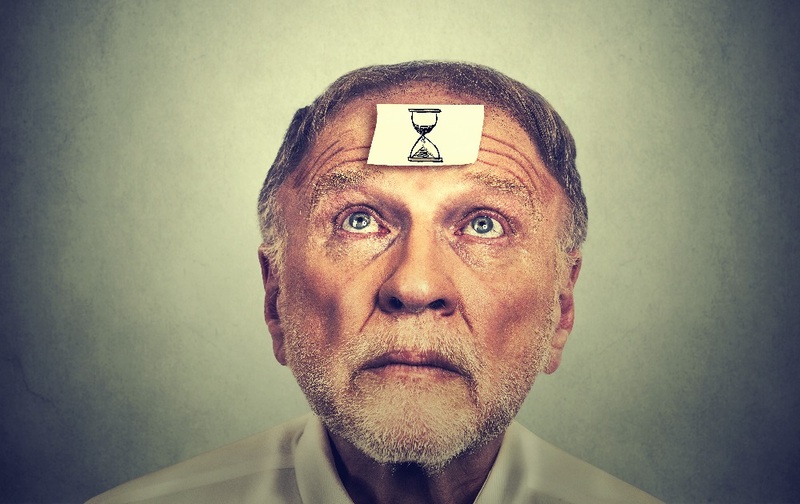 It will most likely require a powerful combination of regenerative medicine, such as senolytic therapy, stem cell therapy, combined with gene therapy that resets the genetic clock in our brain as well as the epigenetic clock in our body. Moreover, unless we are lucky like Jeanne Clement, most likely we will need to have a healthy diet, and breathe clean air and eat food untainted by heavy metals and other industrial wastes. Geroprotectors such as metformin, rapamycin, and nicotinamide mononucleotide (NMN) may help us live longer lives on average, but it remains to be seen if they extend the maximum human lifespan. Related: Learn more in this follow-up article on the upper limit to human lifespan. Sign up for our email list – We use your email to notify you of new articles. We will not share your email address or send you spam. You can cancel at any time. Marck Adrien, Antero Juliana, Berthelot Geoffroy, Saulière Guillaume, Jancovici Jean-Marc, Masson-Delmotte Valérie, Boeuf Gilles, Spedding Michael, Le Bourg Éric, Toussaint Jean-François. “Are We Reaching the Limits of Homo sapiens?” Frontiers in Physiology, Vol 8, 2017, p812. DOI: 10.3389/fphys.2017.00812. Link to article. de Grey, A. “Foreseeable and more distant rejuvenation therapies,” in Aging Interventions and Therapies, ed S. I. S. Rattan. Singapore: World Scientific Publishers, 379–395 (2003). Kurzweil, R., and Grossman, T. “Bridges to life,” in The Future of Aging, eds G. M Fahy, D. M. D West, L. S. Coles, and S. B. Harris. Springer, 3–22 (2010). AFP press release. “Dutch scientists say human lifespan has limits.” via MedicalXpress.com, August 31, 2017. © 2017 AFP. Link to article. Diagnosis, Treatment, and Advice: This article is intended for educational and informational purposes only and is not a substitute for qualified, professional medical advice. The information and opinions provided herein should not be used during any medical emergency or for the diagnosis or treatment of any medical condition. Consult a qualified and licensed physician for the diagnosis and treatment of any and all medical conditions. Experimental therapies carry a much higher risk than FDA-approved ones. Call 911, or an equivalent emergency hotline number, for all medical emergencies. As well, consult a licensed, qualified physician before changing your diet, supplement or exercise programs. Photos, Endorsements, & External Links: This article is not intended to endorse organizations, companies, or their products. Links to external websites, mention or depiction of company names or brands, are intended for illustration only and do not constitute endorsements. Great article Brady! Lots of challenges ahead of us but I’m siding w/ the Ray Kurzweil/de Grey camp and expecting continuing advances like the research I ran across yesterday from Jeff Bowles that I would love to hear some opinions on (https://jefftbowles.com/the-6-changes-in-lifetime-hormone-levels-that-cause-aging-and-how-to-easily-reverse-them/). Thank you, Dennis. My article concludes that drugs with true age-reversing capabilities might be able to break through that barrier. The two conclusions of the authors I quoted in the article was basically “1) Given the mainstream approach of treating one disease at a time, medical science hasn’t been able to break thru this upper limit in the last 30 years. 2) And therefore, we won’t be able to do it in the future.” Conclusion #2 is speculation, although breaking thru this upper limit will be a difficult task.